Today is World Diabetes Day, a day led by the International Diabetes Federation (IDF) to raise awareness and advocate for this disease. 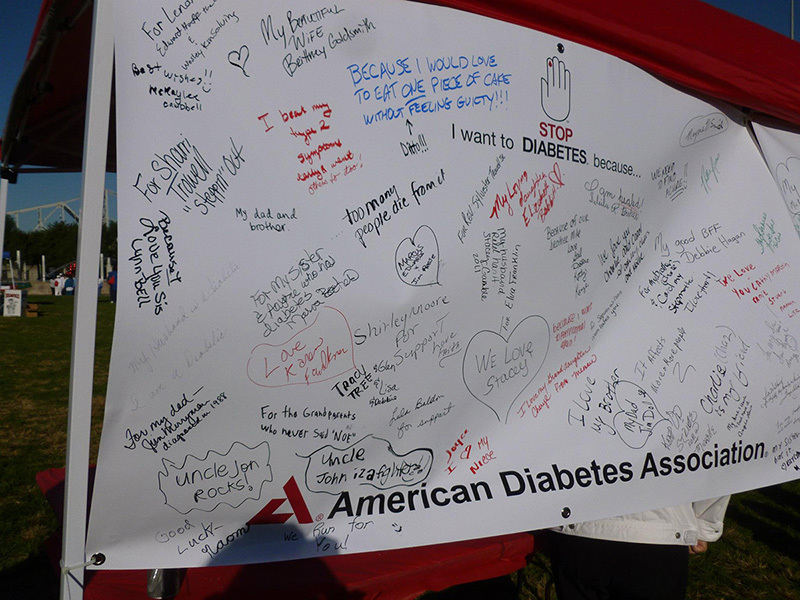 Globally, there are 382 million people living with diabetes. The U.S. is one of the top 10 countries for the number of people with diabetes, which is about 24 million. The IDF estimates that worldwide the numbers will continue to increase so that by 2035, 592 million people will be living with this disease. So what is diabetes, and why should we be worried? Put simply, diabetes is when the body’s pancreas stops producing insulin, which we need to digest our food for energy. Type 1, the version I have, is an autoimmune disease, where a person’s pancreas stops producing insulin completely, and one must take shots of insulin to live. Type 2, the version more well-known, is where a person’s pancreas is still producing some insulin, but not enough to convert all of the food into energy. According to the Juvenile Diabetes Research Foundation (JDRF), the largest global funder for Type 1 diabetes research, as many as three million people in the United States have Type 1 diabetes (15 percent of which are children). Like JDRF says, insulin is not a cure, and they are working to change Type 1 to type none.